This property in stunning Lake Hughes is truly unique. The land and setting are utterly serene with a remarkable 360 degree mountain view. Enjoy seclusion and privacy, while also having easy access to the city. The property sits on six secluded acres with no nearby neighbors, and has flat and easy access. Although it feels miles from society, the house is less than 10 minutes from the freeway, 35 minutes from Santa Clarita, and 1 hour 10 minutes from Los Angeles. The current owners bought the property last year, and essentially tore down the existing structure to rebuild a modern, custom 3 bedroom and 3 bathroom home. The new home is partially built, with a wood burning stove, 2 car garage, a re-sleeved well with a new pump, new electric meter, and fully certified septic tank. Once completed, the home will have all new plumbing, electric, HVAC, and natural gas. A covered patio and a small 10' x 12' cottage are also included. The property is zoned agricultural, meaning farming and numerous other businesses can be conducted on the premises. The zoning also allows the new owners to build another home up to 1,200 square feet. The current owner works in construction and is building the home himself. The property can be purchased for $350,000 "as is" or $550,000 for the owner to finish the build to your specifications. 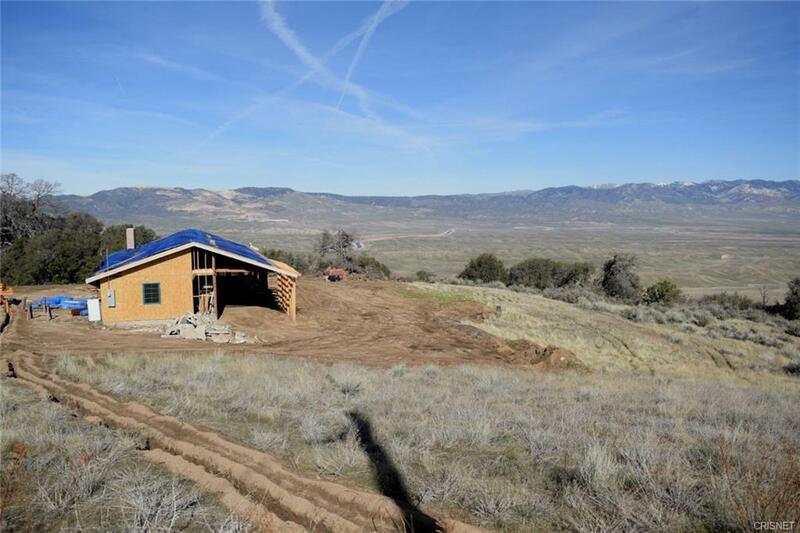 Contact Daniel Schwartz at Frazier Mountain Real Estate for more information and to arrange a showing.